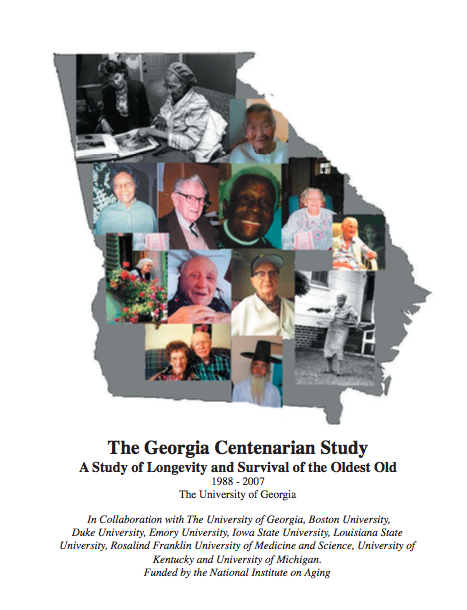 The Hypercarnivore Diet: Georgia Centenarians "Less Likely to Avoid Dietary Cholesterol"
Georgia Centenarians "Less Likely to Avoid Dietary Cholesterol"
Following up on my post Natural Selection Favors Both Strength and Longevity in Humans, according to a summary of the Georgia Centenarian Study, centenarians are "less likely to avoid dietary cholesterol," and they consume 20-30% more vitamin A, and more whole milk, and less low fat dairy products than non-centenarians. 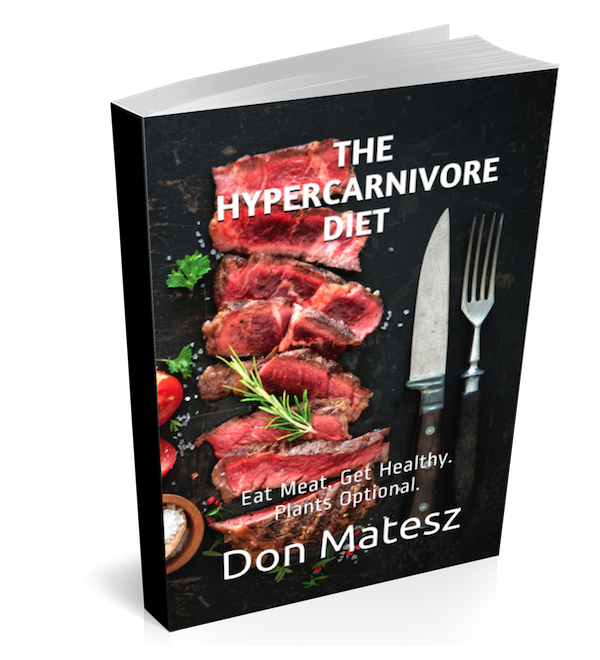 This of course means they were less likely to avoid eggs, meat and other animal products, and in fact more likely to consume vitamin A rich animal products, such as egg yolks and liver. This report is consistent with the hypothesis that I presented in Natural Selection Favors Both Strength and Longevity in Humans, that replacement of carbohydrate-rich plant foods with animal protein and fat favored longer life span for humans starting in the Pleistocene. Before you start on about the supposedly low-fat plant based diet of the Okinawans, it is important to note that the subjects of this study are principally Europeans, not Asians. What promotes longevity for Europeans may not be the same as what does so for Asians. "A large percentage of Okinawan meals utilize pork as an essential ingredient....Many scientists suggest that the Okinawan diet is one of the primary secrets to Okinawan longevity. "In Okinawa, just about every part of the pig is used for food except for its squeal. If you drop by the Heiwa Dori food market in Naha, or any of the other markets on island, you'll be able to see for yourself all the parts of the animal that are for sale and available for use in meals. You can even purchase pig face, which is used in soup or as decoration on special occasions, as well as the feet, stomach, tongue and ears." "Swine were introduced to Okinawa from China in the 14th century. Okinawans, practicing a more indigenous animistic faith revolving around complex rituals conducted by priestesses known as noro and kaminchu, were little affected by the Buddhist prohibition on eating meat. "Rich in vitamin B and animal protein, pork contains less cholesterol than meat such as beef and chicken. Excess fat is removed during preparation, the meat boiled and simmered to tenderize it. In the past, what was not consumed immediately was salted, wrapped in straw and stored in ceramic jars and crocks, or hung from kitchen rafters. The fatty parts of the flesh were turned into lard and stored in oil vessels known as anda-chibu, while the crispier residues were roasted, combined with vegetables and used for miso soup or in a pork miso dish known as anda-insu. Mixed with starch and salt, the blood made a tasty seasoning. "For example, the quantity of pork consumption per person a year in Okinawa in 1979 was 7.9 kilograms which exceeded about 50% that of national average. And the percentage of the quantity of pork consumption in the whole meat of national average is 47% while that in Okinawa is 57%." "When Okinawans fry fish, their oil of choice is canola, which is said to be even healthier than olive oil. The plentiful consumption of fish explains why the elders have unusually strong bones." Plentiful consumption of fish. Not just a little. Plentiful. People (including myself in the past) who have pointed to post WWII data showing low animal food consumption by the Okinawans may be forgetting that wartime and post-war diets are not necessarily representative of typical diets for a population. During war, resources including food are commandeered by States leaving subjects in poverty. I do not think it is wise to assume that the wartime or post-war austerity diet of part a nation that was attacked by nuclear weapons and incendiary bombing and then occupied by a foreign (the U.S.) military represents the typical diet of the region.